My blog is back! It literally just disappeared for two days, I was absolutely freaking out (and that's putting it lightly!) After tons of calls to different tech supports and finally finding the right person to help at GoDaddy the blog is back up- yes!! There has been NO changes. No worries. Same address as before and the super old .blogspot address just redirects to the new-fancy .com one. I'll probably talk about the craziness of momentarily losing my blog and how it's already made me appreciate it more in a later post because this post is all about The Truth About Faking! 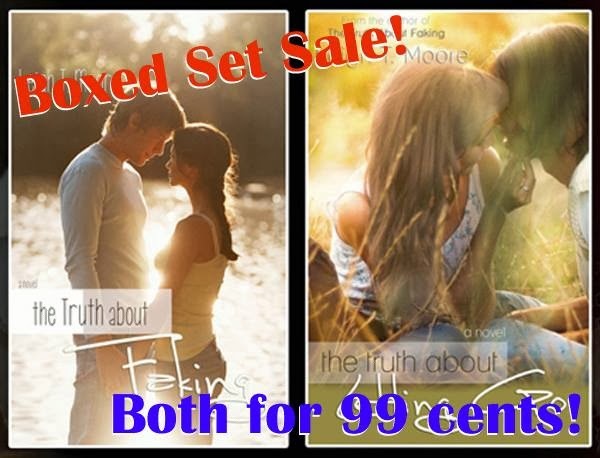 Until Sunday, January 27th The Truth About Faking by Leigh T. Moore boxed set is only 99cents on Amazon! Seriously, two ebooks for under a dollar?! That's awesome! After you read the teasers, you won't be able to resist! 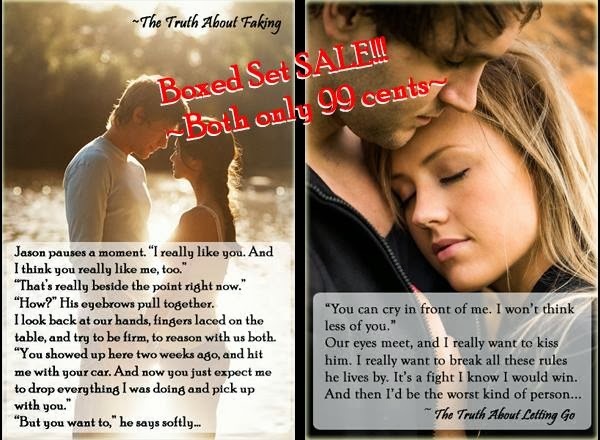 You can click here to check out The Truth About Faking boxed set on Amazon! Welcome back. I can't imagine how scary that must have been. Oh my, yes! I honestly thought I wasn't going to be able to get it back!